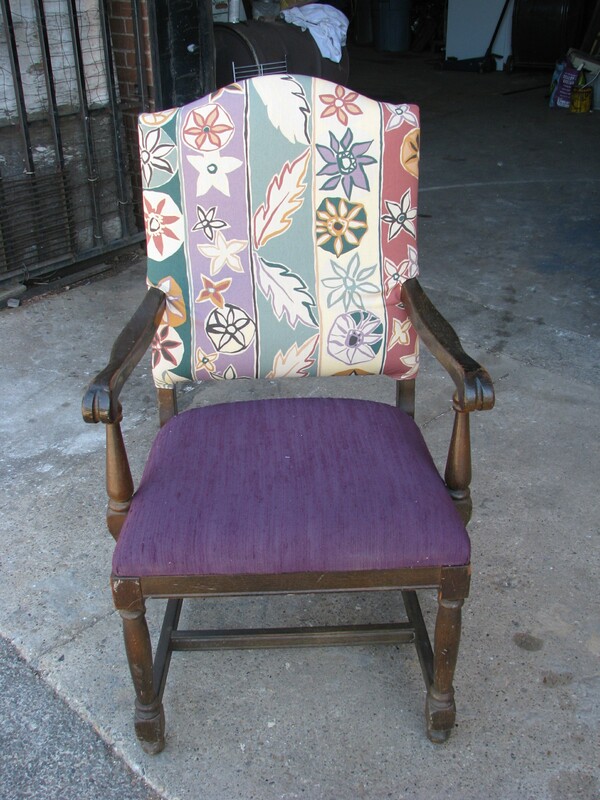 I recovered this restaurant type chair with a fun print and coordinating purple on the seat. And it was fine. Then I was perusing Pinterest and saw “Fun” chairs. 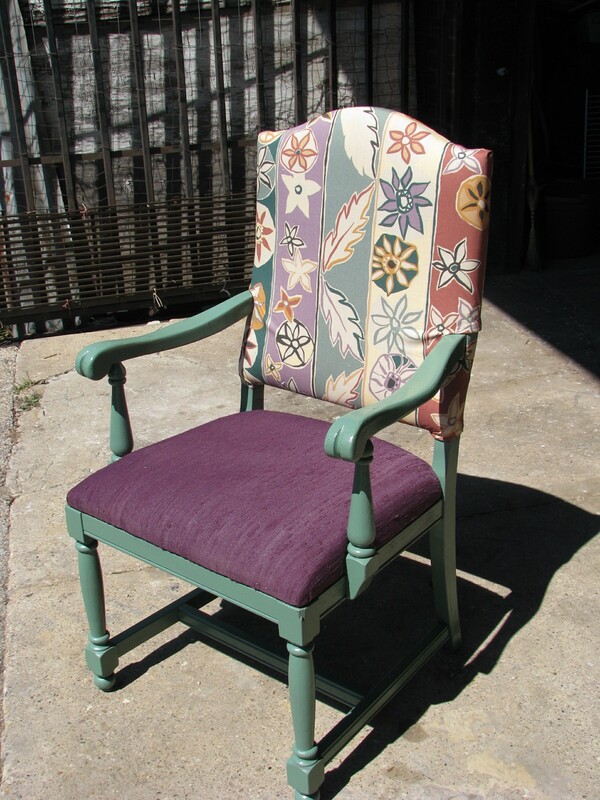 Chairs that not simply been reupholstered with bright and interesting fabric but they chairs themselves had also been painted with bright fun colors. So I found a coordinating spray paint (not really bright but certainly interesting) and went to town. I had so much fun with this chair that I moved onto another one. This was found in a trash pile across the street. 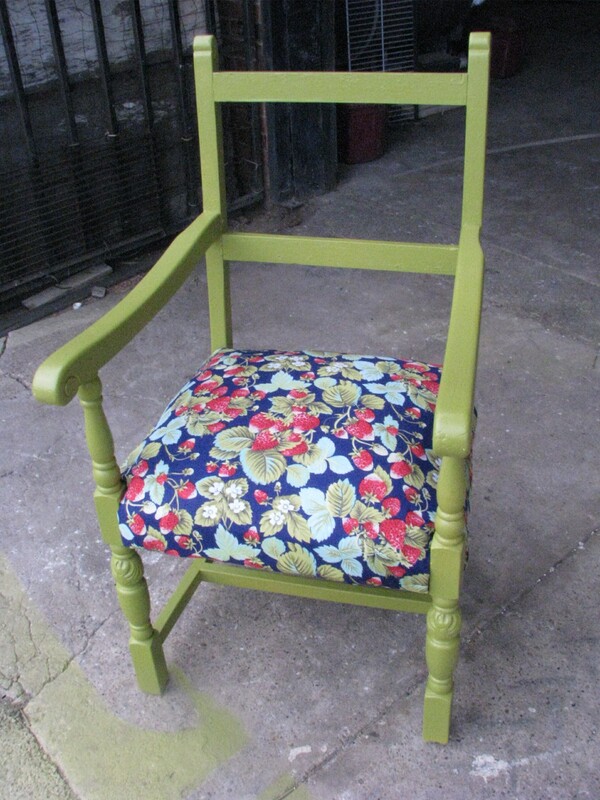 I stripped it down, primed and painted it with an ivy green. Replaced the burlap, foam and covered it in a great strawberry pattern. Can’t wait to show it off. Now looking for my next inspiration.